http://secondlife.com shows a fan from Digital Eyes, originally uploaded by Morgan Kincess. 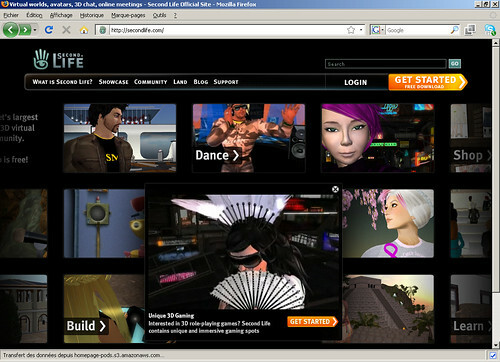 The new version of http://secondlife.com/ shows an animation with a fan and feather tiara from Digital Eyes on the front page. Click on the "play" thumbnail to watch it. Thanks to Helianthus Mesmer for showing me this.